As well as you, Empty Nest Mom, who is starting to forget what it was like. As well as you, Lunchables Mom, who has forgotten her son’s lunch on the kitchen counter and made do with a bagel from 7/11. As well as you, Stay at Home Mom, who manages to talk in complete sentences about intelligent subjects in spite of spending every waking hour with a demanding, drooling mini human. As well as you, Sweats Mom, who is up at 5 to pack school lunches, make a hot breakfast, put the laundry in and runs out of time. As well as you, Ruined Pelvic Floor Mom, who can’t do jumping jacks or squats without peeing in her yoga pants. As well as you, Scattered Mom, who sometimes forgets a swimming lesson or homework or a winter coat. As well as you, Shouty Mom, who you can hear across the playground. As well as you, Formula Mom, who cuddles and rocks and feeds just as many times. As well as you, Laid Back Mom, who figures it out as you go along. As well as you, Free Range Mom, who does as well. As well as you, Store-bought Mom, who realizes that most of the time, you just can’t do it all. As well as you, Pulling your Hair out Mom, who is often on the verge of a breakdown. As well as you, Scheduled C-Section Mom, who rocks just as hard. As well as you, Granny Mom, who faces the unique challenge of reconciling children into a life firmly established. As well as you, IVF Mom, and you, Adoptive Mom, and you, Foster Mom, who know that being a mom, no matter how you find yourself in the role, is the hard part. As well as you, Step Mom who takes on the challenge of integrating another Mom’s kids into your life. And you GrandMom who should be relaxing on a beach but are instead raising your grandchildren like your own. 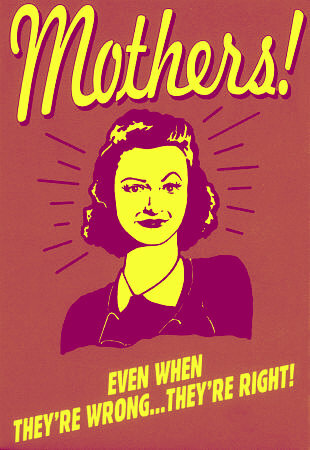 Today we salute you, Real Moms everywhere. Real moms are all of us who sometimes shout and sometimes reason, who sometimes hover and sometimes don’t pay any attention at all. Real moms are those of us who love and laugh and cuddle and fix. 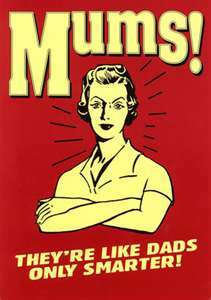 Real moms are those of us who sometimes boast and brag and often complain. Real moms worry and fret and cry, pick up the pieces of broken hearts and kiss away bruised feelings. Real moms clean scraped knees and pull out loose teeth and catch vomit in their hands. Real moms are all of us who beam with pride and bristle with indignation, who cheer and clap and freeze on sidelines, who drive and launder and feed, who chaperone and live by example. Real moms are all of us who spend eighteen years on a wing and a prayer hoping we’ve done it right. 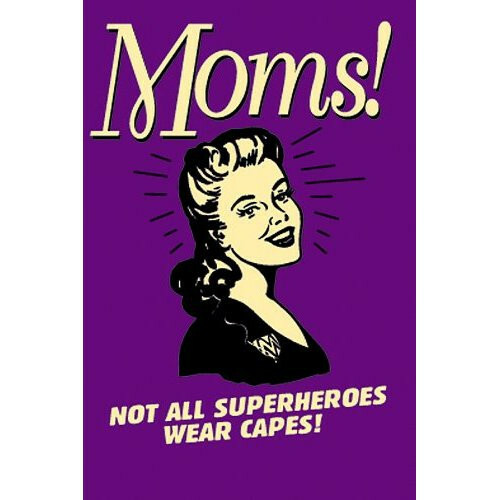 I salute you, Real Moms, everywhere. **For those of you not familiar, this is based on a series of satirical Budweiser Beer commercials, Real Men of Genius. :-). And true to boot! Even better than the bud series, because this is all true. And a sincere salute to every single Mom out there, united in the love of their children. Hilarious and so real! Great job! Thank you, and Happy Mother’s Day to you! Thanks! Happy Mother’s Day to you too! Really liked this post from Wine & Cheese Doodles! Happy Mother’s Day everyone! Love Love Love LOVE this by Wine and Cheese!